Today we have successfully completed our 19th regular weekly session at Kanya gurukul high school from 9:00 am to 11:30am & chocolates distribution at GBE school from 12:30 pm to 1:30 pm. 3. Alloted project work for group leaders related to Telugu, English and mathematics basics, this project work will helpful for all the members in their group. 4. Explained in detail various General Knowledge concepts in the form of interactive way with the children, questions and answers session. 5. Chocolates distribution from 1st to 10th classes on the occasion of New Year and explained about ASWA to other classes. 6. Sirisha madam conducted one activity related to writing and telling two Good things about ourselves and one friend. 1. On the occasion of New Year the children's were busy in doing Rangoli, so there was no class today. 2. Chocolate distribution on the occasion of New Year. 3. Alloted project work related to Telugu, English and Mathematics basics and given 3 weeks time to complete. I want to thank all the volunteers and teachers for their support from and making this event a great success. Please give your suggestions in this regard. Yesterday 29/12/2018, Yesterday we conducted career guidance sessions at Guntur district. It was a great day.. we reached 220+ students in 3 schools. We got good response from the students.. They intreracted very well . School Teachers appreciated our efforts..
1. ZPH School, Varadhayapalem, Varadhayapalem Mdl,, Chittoor Dist. 2. ZPH school for boys,Govardanapuram,Varadhayapalem Mdl, Chittoor Dist. 3.. ZPH school, Kalivedu,Varadhayapalem Mdl, Chittoor Dist. 4.ZPH school Nelavali, BN Kandrika Mdl, Chittoor Dist. 5.ZPH school Palemala BN Kandrika Mdl,Chittoor Dist. My heartful thanks Teachers and Head Masters for their support and welcome. Yesterday i.e. 22.12.2018 we have successfully completed the career guidance sessions and booklets distribution in *Kurnool*. 1. ZPH School, Govardhanagiri, Veldurthi mandal, kurnool Dist. Yesterday i.e. 15.12.2018 we have successfully completed the career guidance session and booklets distribution. 1. Telangana Model School, IDA Bollaram, Near Bachupally, Jinnaram Mandal, Sangareddy Dist. Yesterday we have successfully conducted Food Distribution At Govt. Maternity Hospital , Koti. We distributed 115 packets of MILLET RICE to Inpatients. This time we had sufficient volunteers and completed activity with in the time. Thanks to all donors and volunteers , who supports for continuity of activity..
On 3/12/2018 we have successfully completed our 17th regular weekly session at Kanya Gurukul High school from 9am to 11:30 am. 2. Taken attendance & seating arrangement. 3. Checking of home work & explaining the plan for the next 3 months. 4. Few weeks back we have made few groups and given one person as responsibility for improving the Telugu basics, so taken details from group leader about their team members and we are happy that they are gradually improving day by day. 5. Started English subject, told them to write alphabets. 6. We have shown them India Map & explained few points about India. 7. Last week Sirisha madam and Janaki madam gave them home work as to draw different types of expressions which was done by many children's. 8. This week Janaki madam told two stories, one was related to how one person expression changes the expression of other people and children's has very well performed a skit related to it and other stories was related to a wise person. I want to thank all the volunteers and teachers for their participation and making the event a great success. After completing the Session at Kanya Gurukul high school we visited GBE school and conducted session for one hour from 12:30 to 1:30pm. 2. Children's told the stories. 3. Janaki madam one story and later we told children's to perform a skit which they have done in a great way. 4. Discussion with teachers about the present status of the school. Note: This was an unplanned session, hence we are not able to intimate. School management appreciated ASWA efforts..
School Management appreciated Our efforts. Our Valounteer Mohan Vajjah did nice Job. Volunteers : Mohan Vajjah and Chakry. Thank you so much *GVM Prabhakar sir* for your great support.Prabhakar sir sponsored career guidance charts for *Nizamptnam and Repalle mandalam* schools..
*Conducting Sessions remote villages is always our ambition. Thanks to Vinayak Friends for arranging sessions in RURAL Villages of Madduru Mandal. These children really need these sessions. * Many are becoming migrants and labors as it's draught area and just 20kms from Karnataka. Sri Vinayaka Friends & Manavoori Sainikulu Local groups volunteers. ASWA 31st Blood Donation Camp on 25-11-2018(Sunday) 9.30 AM - 1PM @Srinivasa Nagar Community Hall, SR Nagar. Its time to Donate Blood to SAVE Thalassemia Children LIFE. AMMA Social Welfare Association is Conducting Blood Donation Camp on 25-Nov-2018 (sunday), 9.30AM - 1 PM. to save lives of many Thalassemia effected children. Hence, we request for your participation and also request you to invite your friends, relatives and other people you know for this noble cause. Amma association successfully conducted 30 Blood Donation Camps with your great support. Please come and participate in this great event with your Friends , Colleagues and Family Members etc. Time: 9.30 AM to 1 PM . Please Watch our youtube channel to watch 29th Blood Donation Camp Awareness videos shared by Many Film Actors and Directors. 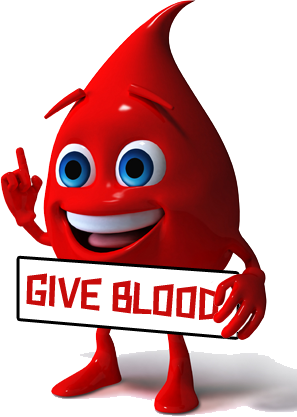 There is a general misconception among people that blood donation leads to physical weakness which has been proved irrational medically and is just a psychological effect. A person recovers the blood donated in just 20 to 59 days and hence can donate again after 90 days. Donating blood in every 3 months has been proved healthy. ***** The most valuable thing you can donate is your blood, there is nothing precious than a human life. Let’s try to save as many we can. Please Come and participate along with your Friends , Colleagues..etc..